Shufunotomo Co., Ltd., 1994, Hardback in Dust Wrapper. Condition: Very Good — in Good Dust Wrapper. A little rubbing to the edges of the dust wrapper, snagged at the head of the spine with a short, closed but untidy, tear at the head, a neater small tear to the bottom corner of the lower panel which has a little creasing to the head. Text complete, clean and tight. From the cover: “Who has not at times yearned to shed the burdens and stresses of daily existence, to find relief, even for a moment, in some far-off private refuge? It is an age-old longing, as true today as in ancient China and Japan, where scholars, poets and priests found peace in the seclusion of distant mountain aeries. Those who could not leave homes and families devised a substitute. They arranged rocks to evoke those sought-after, distant landscapes. There, within the enclosed space of a garden, they could “travel” to remote mountain peaks to gain a sense of quiet and repose. It was a journey of the spirit. 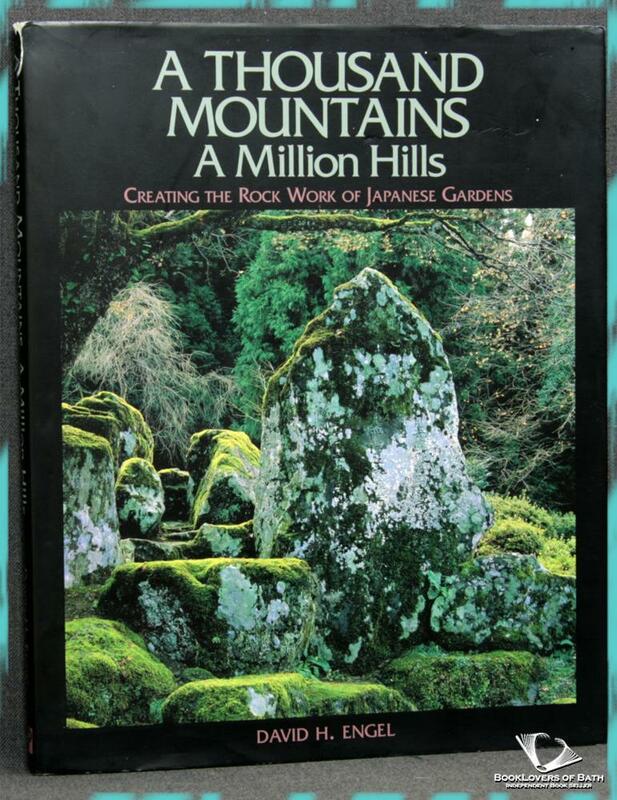 In A Thousand Mountains, David Engel introduces these rock gardens, explaining the historical and philosophical background to their creation. Drawing upon professional experience of more than 30 years, he describes the processes involved in designing and building Oriental rock gardens. As he leads the reader from the drawing board right through to the finished garden, he also offers practical tips on the selection, composition and setting of rocks. Jacket designed by Jean Mahoney. Size: 10½" x 8½". Pale Green boards with Dark Green titling to the Spine. 143 pages. Published by Shufunotomo Co., Ltd.